Posted on June 3, 2014 August 7, 2016 Categories Guitar Building, Guitar History, Linked, Miscelaneous RamblingsLeave a comment on Golden Age or Glowing Sunset? In my latest column for Premier Guitar I describe the arc of some American manufacturing businesses including guitar factories. Yesterday I paid a visit to Grover Jackson’s website to see what he’d been up to. The last time we spoke, about a year ago, Jackson had recently started a small guitar-building shop with ex-Fender salesman John Gold and they were building new instruments under the GJ2 name. He’d gotten himself a Fadal CNC and was about to release a new design called the Concorde. I was happy to see Jackson back in the saddle, he’d been an inspiration to me and I loved his original designs. I wished him luck and waited to see what amazing stuff he’d come up with next. However, when I recently looked at his site, I was a bit surprised to see some pretty straight ahead Strat and Tele clones for sale. Well, maybe I shouldn’t have been surprised at all. It’s a tough marketplace out there if your headstock doesn’t say Gibson, Fender or Martin. The realities of the marketplace are in force even if your name is Grover Jackson. I know from personal experience that copycatting can be a double edged sword. It can make you, but it can cubbyhole you into a second-tier existence. On a related note, here is my latest column for Premier Guitar. It’s about how the guitar industry is following a familiar arc. How many Packards, Tuckers, Humpmobiles, or even Pontiacs and Oldsmobiles do you see on the road today? There have been Shelbys, Deloreans, Studebakers, Dusenbergs, Hudsons, and Bricklins out there, trying to do battle against a stacked deck. For those of you who don’t know those names I’ll fill you in—they once were big shots in the car industry. So to all the small builders out there hanging on by your fingernails, you have my respect and I wish you the best. It’s not easy to survive in the shrinking guitar market—even if you have a famous name. Paul Simon wrote, “every generation throws a hero up the pop charts” and how correct he was. But Simon could have been talking about the product life cycle of any consumer item that relies upon favor for its sales. In my latest column for Premier Guitar I examine the budget bin guitar fad. Click here to read. Fifties guitars and boutique handmades are priced out of the reach for all but the wealthy or the truly dedicated players—something was bound to burst. Just as Andy Williams was left high and dry by the arrival of The Beatles, so too might be the fate of instruments from the golden age. Disdain of the old has often been the motivation for trends of the young. 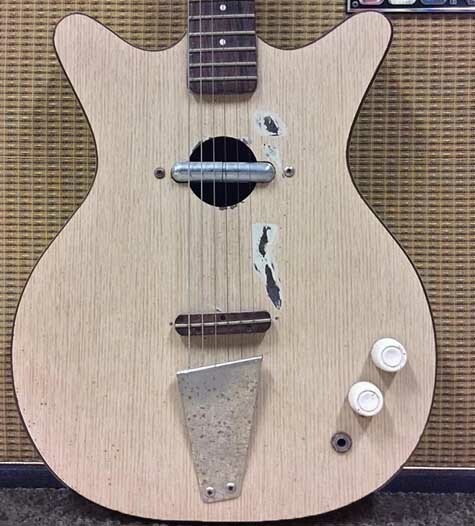 We don’t need your stinkin’ Les Pauls, PRS and Stratocasters, we’ve got cheapo student guitars that sound funky and make us look different than the old people in classic rock and country. Maybe the suits at PRS will abandon their collectibles attitude and scramble to duke it out with more trendy upstarts like Fano. The executive teams at Fender and Gibson are already turning the microscope onto the pages of their cheesiest past offerings—you know, the ones that sort of inspired Fano in the first place. Meanwhile, Rickenbacker just continues on making beautiful and glorious sounding, but practically unplayable art. One of my favorite Dire Straits songs is “Industrial Disease,” from their 1982 album, “Love Over Gold.” It’s a bouncy little number with a cheesy ’60s combo organ part that belies its serious subject. Mark Knopfler’s lyrics are expertly crafted with an endless stream of references to the woes of the British Industrial decline. Actually, it is pretty universal and can be applied to our own American landscape. As much as Knopfler tries to keep his tongue in cheek, as a writer he is keenly aware that a good joke is funny because it contains an uncomfortable truth. Near the song’s conclusion the narrator encounters a pair of competing Jesuses at a public rally who both propose their solutions to the situation, with the second Jesus offering, “I’d cure it soon—abolish Monday mornings and Friday afternoons.” Which refers to the old adage about how anything made during those periods didn’t recieve the full concentration of the employees. Having worked in industrial settings since my teens, I can attest to the fact that it is sometimes hard to find your stride at the beginning of the week and likewise at week’s end. As much as I enjoy what I do, a little perspective goes a long way. Which is why I’ve made it a practice of using these periods to inject some fun into the workshop, and ease in and out of the week. Last week it was the changeup of dismantling the door of a vintage Porsche, but it could be any number of things. I find that by breaking up the week with departures from the routine, I keep my interest up for the job of making guitars. Today, it was sorting through a box of cool old parts that was left on the shop’s doorstep by a friend who knows I like this sort of stuff. So, as we head into midday I return to the woodshop to some builds that are in progress—the grogginess that sometimes accompanies a Monday morning left far behind. I’m ready to concentrate fully on the task at hand, and avoid having to pitch good wood into the dumpster, which costs more in the long run.